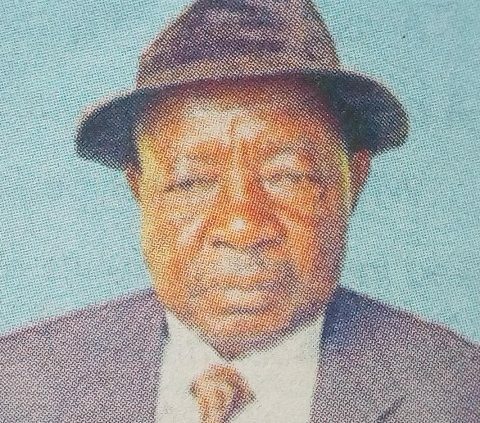 It is with deep sorrow that we announce the passing on of Mzee John William Nyakone Owidi of Saye Village. Son of the late Owidi Gilo and Mama Sarah Onyango. 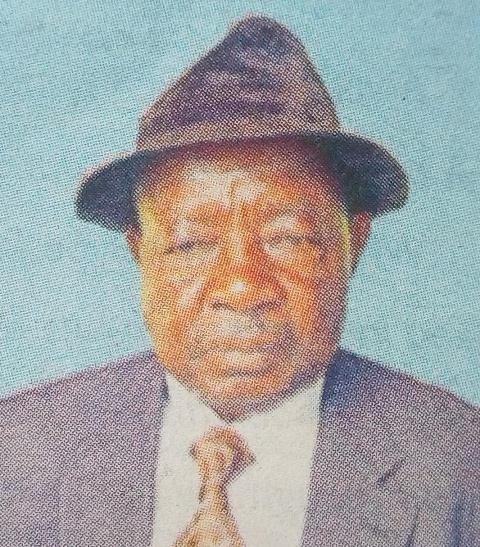 Husband of Priscah Gaya and Elizabeth Akinyi. Father of Elly, Amos, the late Beatrice, Alice, Martin, Benson, James, Phelesia, Kennedy, Jabesh, Maurice, Antony, Kenneth, Kevin and Horace. Father-in-law of Mark Owala and Theodore Ware. He is blessed with many grandchildren namely: Neddy, Arlene, Ian, June, Emmanuel, Fidel, Howard, Luis, Abraham, Williams, Nicole, Miguel, Alackie, Daddy, Elina, Maxwel, Denzel, Mitchel, Keith, Donatela, Vallery, Bramwel, Kito’o, Lew’Tina, William Onyango and Antonio. Family and friends are invited to a harambee today 11th February, 2019 from 5.00pm at the YMCA Central Restaurant next to Nairobi University. 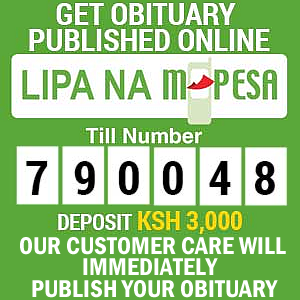 The cortege leaves Gendia Mission Hospital on Thursday 14th and burial will take place on the 15th February, 2019 at his farm in Saye Village Homabay County.